JDBC (Java Database Connectivity) is the Java API that manages connecting to a database, issuing queries and commands, and handling result sets obtained from the database. Released as part of JDK 1.1 in 1997, JDBC was one of the first components developed for the Java persistence layer. JDBC was initially conceived as a client-side API, enabling a Java client to interact with a data source. That changed with JDCB 2.0, which included an optional package supporting server-side JDBC connections. Every new JDBC release since then has featured updates to both the client-side package (java.sql) and the server-side package (javax.sql). JDBC 4.3, the most current version as of this writing, was released as part of Java SE 9 in September 2017. 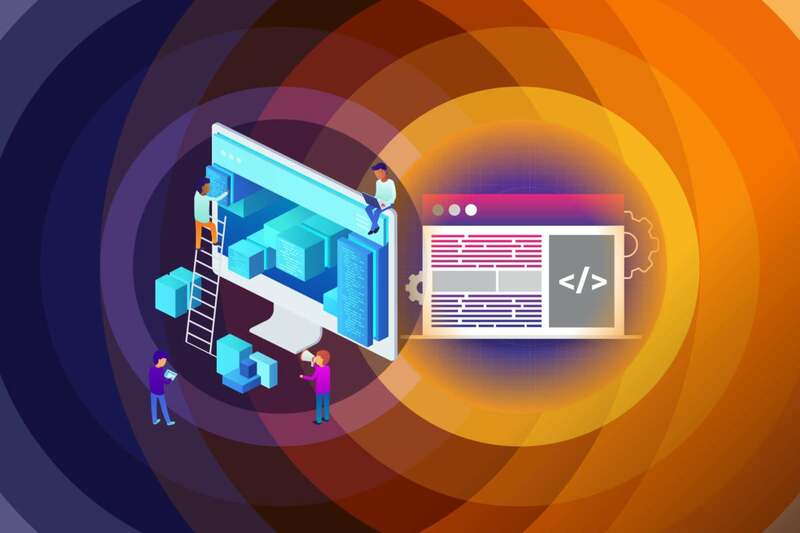 This article presents an overview of JDBC, followed by a hands-on introduction to using the JDBC API to connect a Java client with SQLite, a lightweight relational database. The JDBC API supports communication between the Java application and the JDBC manager. The JDBC driver supports communication between the JDBC manager and the database driver. JDBC is the common API that your application code interacts with. Beneath that is the JDBC-compliant driver for the database you are using. Figure 1 is an architectural overview of JDBC in the Java persistence layer. One of the fortunate facts of programming in the Java ecosystem is that you will likely find a stable JDBC database connector for whatever database you choose. In this tutorial we'll use SQLite to get to know JDBC, mainly because it's so easy to use. Install or locate the database you want to access. Ensure the JDBC driver you need is on your classpath. Use the JDBC library to obtain a connection to the database. Use the connection to issue SQL commands. Close the connection when you're finished. We'll go through these steps together. To find a driver for the database you want to use, simply do a web search for your database and JDBC. For instance, typing in "mysql jdbc driver" will turn up a driver for MySQL. I challenge you to find a Java-compatible database without a JDBC driver! SQLite is a very compact database. It isn't intended for production use, but is a great choice for quickly trying things out. SQLite uses a file as its functional database, without requiring any service or daemon installations. To get started with this demo, go ahead and download the SQLite sample database. Unzip the .db file and save it somewhere you won't forget. This file contains both a functional file-based database and sample schema and data we can use. NoSQL has grown popular over the past decade, but relational databases remain the most common type of datastore in use. A relational database is a structured repository consisting of tables with columns and rows. SQL (Structured Query Language) is the language data architects use to do things like create, read, update, and delete new records in a relational database. JDBC is an adapter layer from Java to SQL: it gives Java developers a common interface for connecting to a database, issuing queries and commands, and managing responses. We could do our coding in an IDE, but coding directly in a text editor will better demonstrate JDBC's simplicity. To begin, you will need to have a compatible JDK installation for your operating system. Assuming you have the Java platform developer tools installed, we can start by creating a simple Java program. In your text editor, paste in the code shown in Listing 1. Call this file WhatIsJdbc.java. Now compile the code by entering the command: javac WhatIsJdbc.java. Compiling will output the WhatIsJdbc.class file. Execute this file from the command line with the call: java WhatIsJdbc. Once you have a basic Java program, you can include the JDBC libraries. Paste in the code from Listing 2 at the head of your simple Java program. Connection represents the connection to the database. SQLException handles SQL errors between the Java application and the database. ResultSet and Statement model the data result sets and SQL statements. We'll see each of these in action shortly. Next, you'll add the SQLite driver to your classpath. A JDBC driver is a class that implements the JDBC API for a specific database. Download the SQLite driver from GitHub. Be sure to get the most recent .jar file and store it somewhere you'll remember. The next time you execute your Java program, you will pull that .jar file in via the classpath. There are several ways to set the classpath. Listing 3 shows how to do it using a command-line switch. Notice that we've set the classpath to point at the driver and the local directory; this way Java will still find our class file. The classpath now has access to the driver. Now, change your simple Java application file to look like the program in Listing 4. Compile and execute this code. Assuming all goes well, you will get an affirming message. If you've received an error that looks like "No suitable driver found for jdbc:sqlite," then you need to revisit the classpath and make sure it points to the driver you downloaded. Failed driver connection is the most common stumbling block for beginners using JDBC. Don't sweat it; just fix it. Now we're ready for some SQL commands. With the live connection object in hand, we can do something useful, like querying the database. Listing 5 shows how to query SQLite using the JDBC Connection and Statement objects. In Listing 5 we use our Connection object to obtain a Statement object: conn.createStatement(). We then use this object to execute an SQL query: stmt.executeQuery(query). The executeQuery command returns a ResultSet object, which we then use to iterate over the data with while (rs.next()). In this example, you should see the album titles we've queried on as output. Notice that we also closed the connection, via a call to conn.close(). The database connection string in Listing 5 is for a local connection: jdbc:sqlite:path-to-db-file/chinook/chinook.db. To access the database via a network, the connection string would need to include the network URL and (usually) credentials for accessing it. So far we've covered the basics of using JDBC to connect to a database and issue SQL commands. While Statementss and ResultSets work well for common scenarios, you'll likely need additional options for larger or more complex applications. Fortunately, the JDBC library continues evolving to meet most database access needs. One easy way to increase the flexibility of your code is to replace the Statement class with PreparedStatement, as shown in Listing 6. PreparedStatement replaces Statement's hard-coded values with question marks (?). Using PreparedStatements optimizes your code for reuse: a PreparedStatement is compiled only once, and can then be reused with a variety of parameters. As your code base grows, you simply insert new values into the statement, instead of hacking the string object itself. Whenever an application has several updates to issue, doing them in batches can greatly benefit performance. The essence of batching is to take the multiple updates and collect them together, then issue them all at once. Listing 7 uses JDBC's batch methods to perform a batch update of several PreparedStatements. Transactions in relational databases allow for a set of updates to be wrapped in an interaction that either succeeds or fails altogether. The basics of using a transaction via JDBC are to tell the system to turn off auto-commit, and then manually tell the system to commit when you are done. By default, auto-commit is on, which means whenever an executeUpdate or executeInsert is run, the command is committed. Listing 8 shows a small slice of a JDBC transaction. When connection.commit() is encountered, all the updates wrapped inside will be attempted, and if any fail, they all will be rolled back. There are many more features in JDBC 4.3 worth exploring, including using CallableStatement for stored procedures, using DataSource objects for improved application performance (especially via connection pooling), and converting a JDBC ResultSet to a Java Stream. This example is taken from the documentation for Oracle's JDBC OCI Driver. JDBC is one of Java's oldest APIs, providing an easy-to-use solution for one of the perennial needs of Java application development. 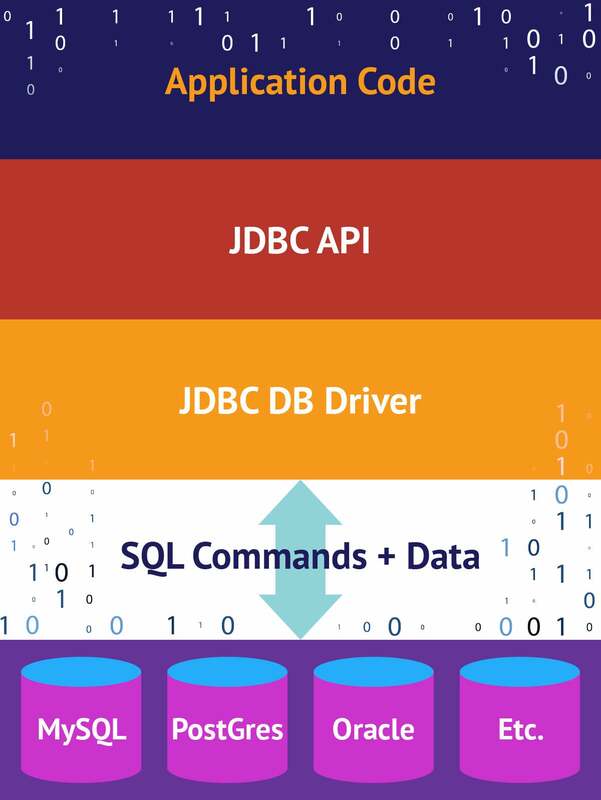 Knowing just the few JDBC calls demonstrated in this article will get you started using JDBC to connect to virtually any database. Once you've got those commands down, you can begin to explore some of the more sophisticated options that have been built into JDBC. While JDBC is sufficient for simpler applications, most developers will eventually look to the Java Persistence API (JPA) in order to develop a more formal data access layer. JPA requires more up-front work and a more sophisticated understanding of the application architecture, but it nets you a more consistent, isolated, and well-defined data access layer. See the companion to this article, "What is JPA? Introduction to the Java Persistence API" for more about developing the data persistence layer for your Java applications.